A true Boho - inspired beauty from the 70's .The " Rasaleela" Goa Hippy Dress " is a flowing peasant - smock style dress with loads of room to move around in. With a yoke style bust section with contrast plain piping on the neckline and bust , a coloured string tie & metal bead with coloured tassel flowing from the V neck indent , whats not to love ! The Goa Dress has pleats under bust and flows to give you a very relaxed fit dress with pockets ! 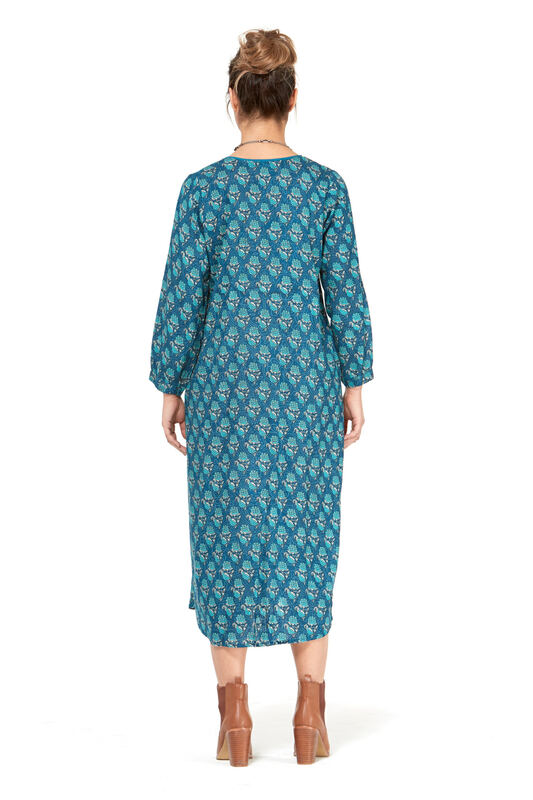 You really can wear this dress to so many occasions in all seasons as the lightweight Rayon breathes well.